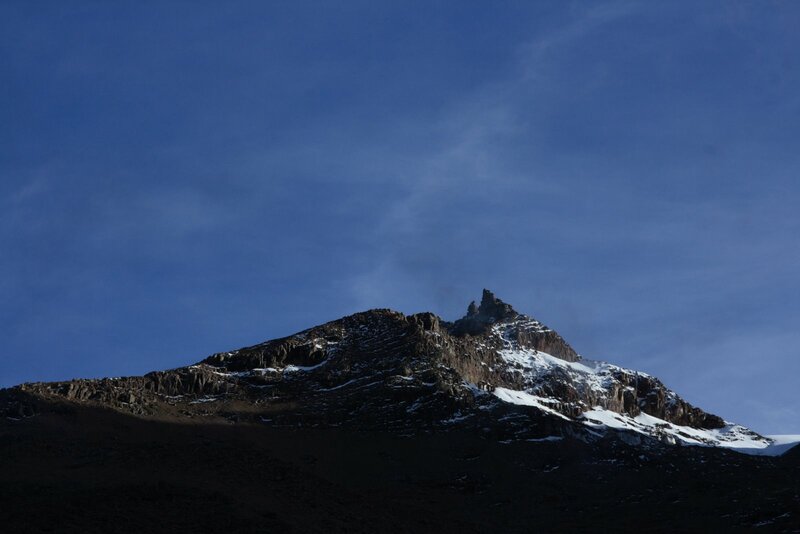 The flora and fauna of Mount Kenya are diverse, due to the variation in altitude, rainfall, aspect and temperature. The mountain slopes can be divided into vegetation zones, with each zone having different dominant plant species. Although many plants on Mount Kenya have local (Kikuyu, Meru, Embu) names, here they are reported only with their English and scientific names. 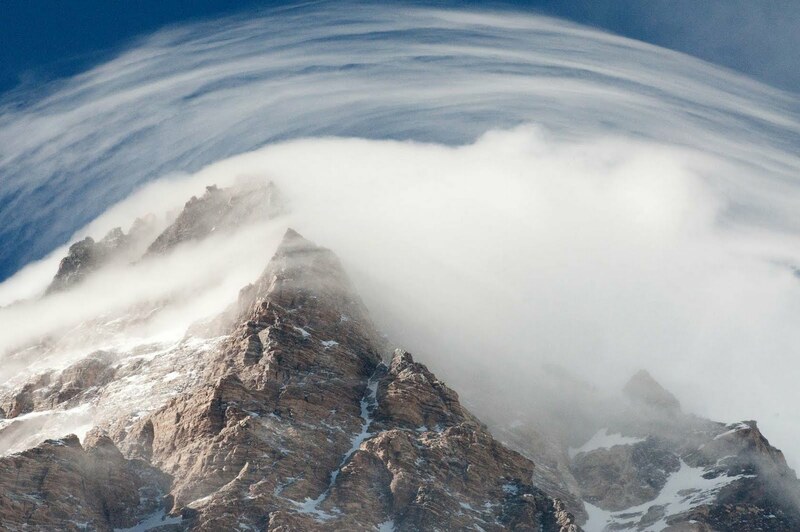 Weather on the mountain mostly comes from the Indian Ocean, to the east and south-east. Consequently these slopes are wettest. The wetter slopes can support thicker forests and more bamboo, as well as plants that require more water. The eastern and south-eastern slopes have more biodiversity than the northern and western slopes. 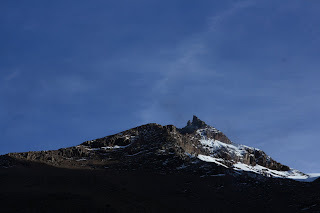 The vegetation zones on Mount Kenya are more or less distinct. The relatively flat land surrounding the mountain are too dry for forest, and were once savanna grasslands, now often converted to agriculture or are used for grazing with more of the native flora intact. The lower slopes are covered in montane forest, which has also been largely cleared for cultivation, being more intact along the Chogoria Track to the southeast. Above this forest are large tracts of bamboo, especially in the east and south-east. The upper montane forest is dominated by Popocarpus trees. Above this is the timberline forest, characterized by Hagenia (Rosewood). Directly above the treeline are heathland (on the wetter aspect) and subalpine chaparral (on the drier aspects). Higher up the mountain the vegetation becomes more specially adapted to the cold in the Afro-alpine zone, and the largely unvegetated area that has until recently been glaciated is known as the nival zone. 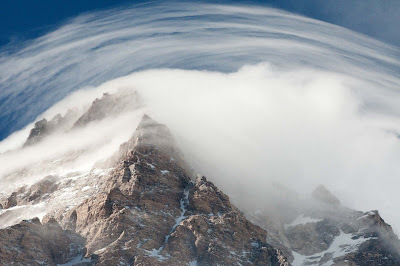 There are plant species typical of each zone, with those at higher altitudes often exhibiting striking specializations. 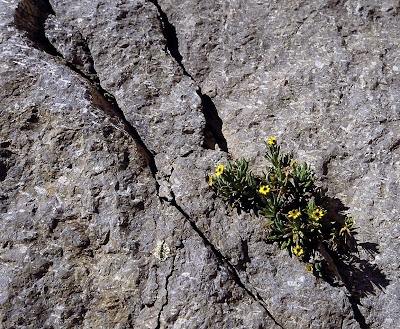 Approximately three-quarters of Afro-alpine vegetation is endemic. Vertebrate animals move between different vegetation zones.